Situated by Tanfield on the Inverleith Row side of the Water of Leith is 'Edinburgh Tile Studio', Edinburgh's newest addition to the interiors marketplace. Set up in October 2014, 'Edinburgh Tile Studio' offers an extensive range of beautiful natural stones, porcelains, and ceramics, as well as an eye-catching selection of hand-made and hand-painted tiles, mosaics, and Victorian flooring tiles. In addition to the wonderful selection of products available, 'Edinburgh Tile Studio' also offers a full design and installation service, as well as bespoke furniture services through our association with Samson Joinery. Drawing upon a wealth of client management and industry experience proprietor Kathryn Watson has set out to create a showroom that provides a friendly and welcoming atmosphere, and that exudes professionalism. With over a decade of interiors experience - Kathryn has an Advanced Diploma in Interior Design and worked some six years in kitchen design and installation with the likes of 'Chris Jones Kitchens' and 'Intoto Kitchens' before moving into stones and tiles - and with working relationships with a number of professional tilers with themselves extensive experience, we are confident that 'Edinburgh Tile Studio' will not only be able to provide you with that something special, but will also be able to provide you with the necessary support and expertise throughout the lifecycle of that project, from inception, through installation, and onwards. A true independent, The Original Tile Company has been under the same ownership for over 18 years. Offering possibly the finest selection of specialist tiles in Scotland, sourced from around the world, our passions lie in craftsmanship and quality. From single artist’s studios in Scotland, to quarries in Brazil, via Spain, Portugal and Italy, we have developed our collection to offer you the best in both traditional and contemporary style. You can choose from a vast selection of stone, terracotta, ceramic wall and floor tiles, glass and mosaic. Our experienced staff are always available to discuss your requirements, and we offer a design service at very competitive rates. 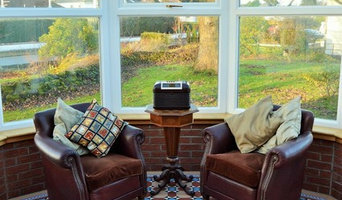 As well as what you see on our website, we offer a wide range of bespoke services; hand painting and printing tiles to order, sandblasting images onto glass and stone, worktops in glass, resin and limestone, bespoke mosaics in either marble or glass and historical reproductions of wall and floor tiles. As one of Scotland’s largest importers of stone tiles, ceramic floor tiles, terracotta and mosaics, we are happy to supply retail customers, architects, designers and trade. Contact us for further information regarding any of these services, or visit our showroom in Stockbridge, Edinburgh to view our entire selection, or contact us to order a sample. Our speciality is handcrafts which we import directly from Mexico. 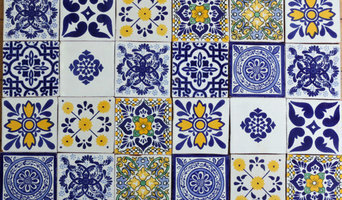 We sell a huge range of Mexican tiles and other decorations for the home and garden. We try to buy directly from the producers and always pay a fair price. Like ourselves most of our suppliers are small family run businesses. 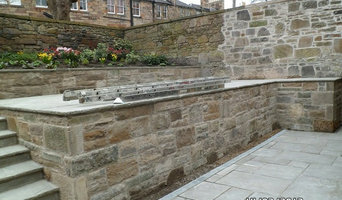 Heritage Masonry Scotland Ltd offers you masonry services such as natural lime mortar repairs, conservation and maintenance solutions such as constructive work, stone carving, exterior rough casting and lime washing services. All Heritage experienced stonemasons have been in the trade for over 25 years and deliver an abundance of ability and experience to any repairs or maintenance you require carried out. Working on a routine basis with equally independent and professional clients in returning their properties back to life and to the standard they demand. Our clients extend from homeowners, business property owners and heritage associations intending to secure our nations historic buildings. Our earlier clientele include historic buildings such as Loretto in Musselburgh and the Northumberland and Duke of Buccleuch Estates When you employ the services of our team, you can be guaranteed that our site will hold to the current health and safety requirements. Being given the job to conserve and rectify our countries historic properties is not a thing we take for granted. You can be sure that we treat every client and property we work on with the utmost regard. 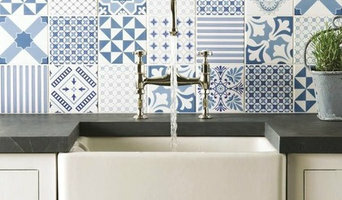 Welby & Wright specialise in period, glass, stone and artisan ceramic tiles for the wall & floor. Located in our very own boutique showroom in Edinburgh, we show a beautiful selection of tiles. So whether you’re after a faithful reproduction, or a more contemporary take on the design themes used in the 18th, 19th and 20th centuries, our website can show you all the examples you’ll need! Graham Steele Wall & Floor Tiling provide an experienced tiling service throughout the Edinburgh area. A wide range of tiles and tiling options are available to our customers, so if you want wall tiling or floor tiling, we can create the look you desire. We have been an established tiling company for over 29 years, from gaining experience over the years, we have become experts in our trade. At Graham Steele Wall & Floor Tiling, we can complete projects of any size for both commercial and domestic jobs. S&N Stoneworks is a family run business with a passion for producing high quality granite worktops and quartz worktops through-out Scotland and Northumberland. So if you’re searching for affordable granite worktops in Scotland look no further – just fill in our quick online form and we’ll get back to you ASAP. Located in the Scottish Borders, Southern Scotland, we are able to offer our bespoke granite and quartz worktops on a nationwide scale around the U.K – including Edinburgh, Glasgow, Newcastle, Aberdeen Dundee and much more! We also supply and fit the latest ranges of sinks, taps and hobs to compliment your choice of granite or quartz worktops. View our recent jobs and our granite, quartz and silestone samples in our gallery. If you can’t see what you’re looking or, don’t panic, we can order it in specifically for you. Worktop installers and tilers in Rosewell, Midlothian can advise on the best tiles and materials to use based on your tastes and requirements and then will be able to install them to a high finish in your home. Kitchen worktops are a major part of your kitchen – you need surfaces that will be scratch and heat resistant, but at the same time still look attractive and work in harmony with your kitchen units, splashback and other kitchen elements. A worktop manufacturer and installer will be able to fit new kitchen worktops or replace old ones with ease, helping you to pick out the best kitchen worktops for your home first. Tiles are so versatile that they can be used in kitchen splashbacks, floors, bathroom walls and as decorative designs elsewhere in the house. Tile manufacturers and tilers in Rosewell, Midlothian will have a great range of tile designs, sizes and materials to choose from and will help you to pick the best tile for the job. Laying tiles may look easy sometimes, but one badly laid tile can ruin a whole floor or wall, so it’s really best to leave it to a skilled tiler. With Houzz you can find Rosewell, Midlothian tilers, tile manufacturers and worktop installers near you and check their previous projects, reviews and ratings to decide if they’re a good fit for your home design project. Why should I hire worktop installers or tilers in Rosewell, Midlothian? Perfectly laid tiles and worktops can look simple and seamless once finished, but installing them is far harder than it looks. It really pays off to hire a Rosewell, Midlothian tiler or worktops professional as they will have the experience and expertise to finish the job efficiently, quickly and to a high quality. From metro bathroom tiles and porcelain tiling, to kitchen worktops, splashbacks and travertine floor tiles, there will be a tiler or worktop professional who can install the surface you need for your bathroom or kitchen design. There will even be tile and worktop repairers to help you if you need a quick fix-up to your surfaces. Tile manufacturers, worktop professionals, and often tilers in Rosewell, Midlothian themselves, will also be able to advise you on the right materials to use if you’re not decided on one particular type. They can tell you the advantages of the different flooring, wall tiles and kitchen worktops so you can make the right decision for your home. If you’re after a bespoke tile pattern, mosaic or mural created and laid in your house, this will also be possible with Houzz as we list such a wide range of tile manufacturers, worktop professionals and tilers in Rosewell, Midlothian. It could be the case that you can find a design or construction company that can offer tiling and worktops as part of their work, whilst also undertaking other projects for your house redesign, so it’s worth looking out for these professionals, too. Here are some related professionals and vendors to complement the work of tiles, stone & worktops: Interior Designers, Architects & Building Designers, Main Contractors, Kitchen & Bathroom Designers, Design & Build. Find a tiler or worktops professional on Houzz. Narrow your search in the Professionals section of the website to Rosewell, Midlothian tilers and worktop installers. You can also look through Rosewell, Midlothian photos to find projects you like, then contact the contractors or tilers in Rosewell, Midlothian who worked on the tiling work or kitchen worktops.